It’s here. The cold and flu season has appeared. And with it is most likely a new and more sinister version of the flu. We all love a solid day off to watch our favorite shows and movies. However, it becomes much less enjoyable when it’s accompanied with a stuffy nose or a painful cough. Don’t worry! We are here to help. Check out our top tips for surviving the cold and flu season. There are a few variations of influenza that seem to cause the most trouble. Each year, flu vaccines are adjusted to protect you from the specific strain that experts believe will be most widespread. Occasionally we might have slight discomfort or other minor symptoms after receiving the shot. However, it will protect you and prevent the full-blown variety from taking over your holiday season. This is one of the most important tips we can offer. It’s also one of the simplest! You can prevent germs and bacteria from attacking your body just by routinely washing your hands with soap and warm water. Scrub for at least twenty seconds and scrub as you’ve never scrubbed before. Remember to get those spots that are often forgotten. The back of your hands and between your fingers need love too! A solid exercise schedule will help your body operate in its optimal form. Exercise supports your immune system and creates a healthy body. When you have a healthy body, you have a healthy mind. With a healthy body and mind, your odds of getting sick are drastically decreased. If you’ve made it this far, congratulations. You now have a greater chance of remembering to wash your hands! We told you it’s important. This should be your first, last, and best method of keeping germs at bay. This is especially important to those of you who work in a large office or use public transportation. Bacteria are great at hiding in your home. The most common areas include countertops, doorknobs, floors, and desks. Focus your cleaning efforts on the things that are used the most. 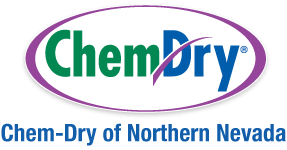 For an even deeper and healthier clean, consider using your local Chem-Dry. Chem-Dry’s Hot Carbonating Extraction technique has been proven to remove up to 89% of airborne bacteria and will remove germs and dirt hiding in your carpeting. Schedule a Carpet Cleaning from Chinook Chem-Dry Today!